Ok, I am pretty excited for this so I decided to post it earlier than the said schedule, and it's the first of December meaning Loic and I need to head out to buy a "sapin de noël" (a Christmas tree) and do a little shopping! Yay! Come on, I'm excited so let's make this quick! And the randomly selected It-girl is…. 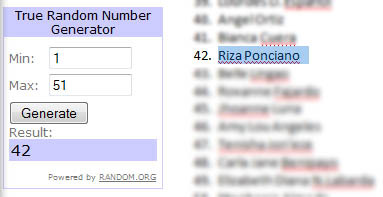 lucky number 42, RIZA PONCIANO! Congrats to both of you! Please wait for my email! To everyone, remember: Don't chase dreams, CATCH them! 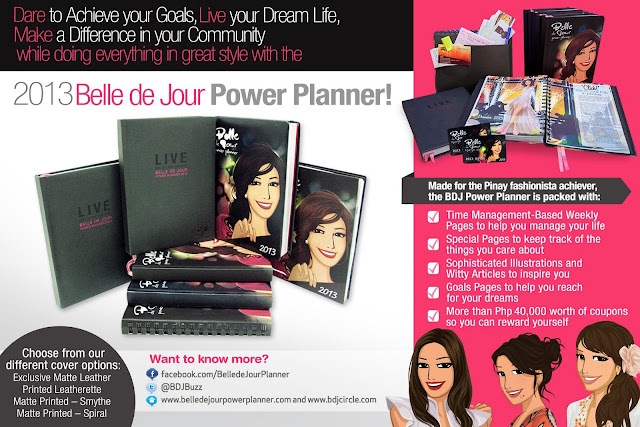 Thank you bellas and thank you BDJ team! And by the way, my blog is nominated in Expat Blog Awards 2012 Top Blog! If you can just give a good comment and a five-star, pleasssseee? Leave some love HERE!